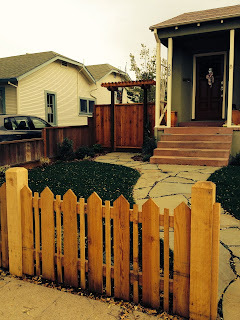 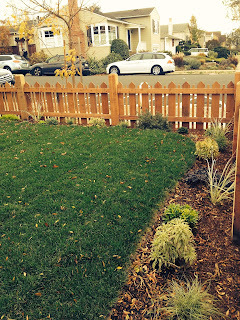 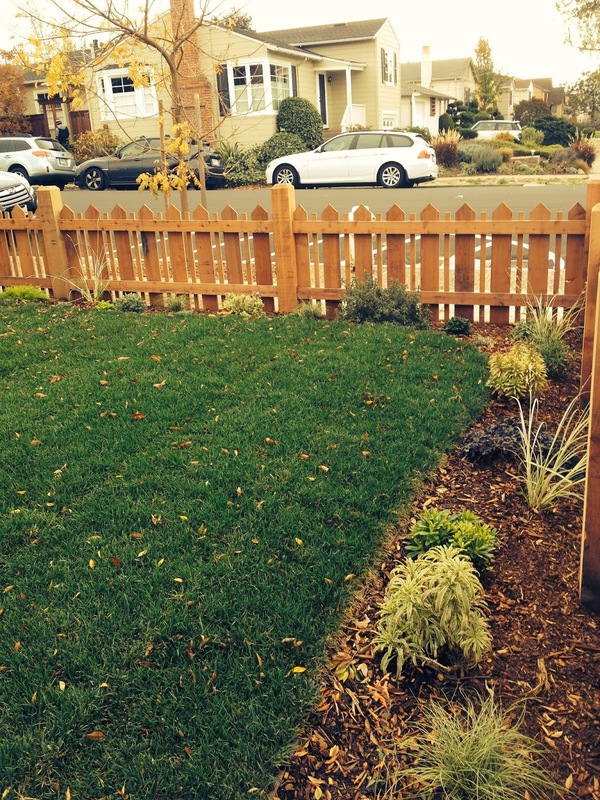 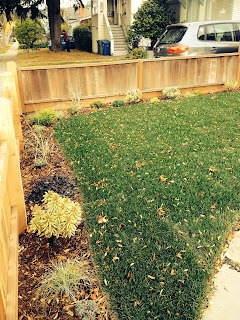 We recently completed this front garden renovation in El Cerrito. 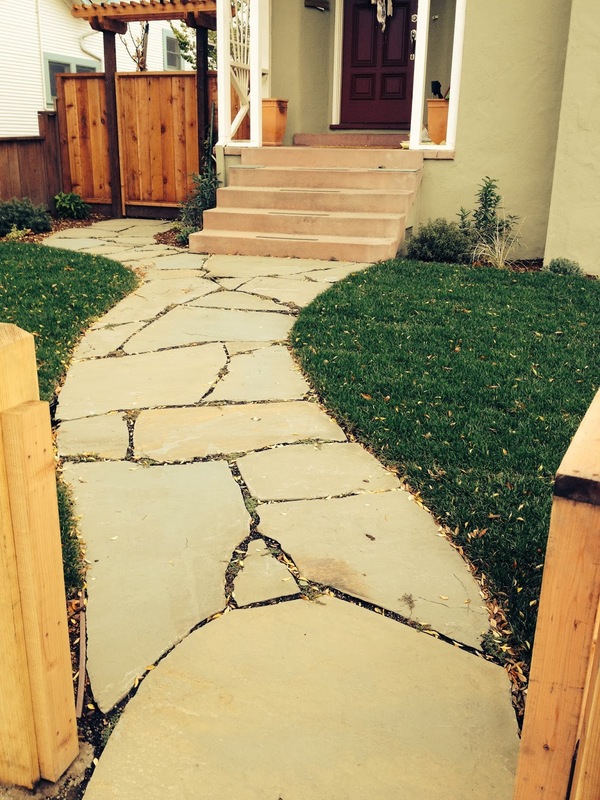 We removed the straight concrete walkway and replaced it with a curving dry set flagstone path. 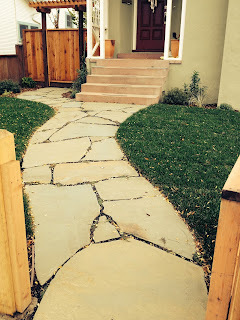 The path is surrounded by a small lawn and low water flowering perennials. The fence was designed and installed by SG Construction.